Here's the index from our set of Everyday Overcall Flashcards. See how many of these you truly know and where you need some more reviewing. 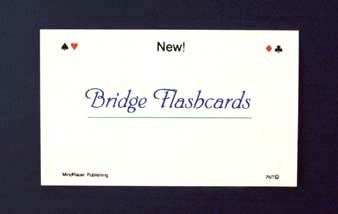 Flashcards are great for trips to the dentist, hair salon, or quick reviews. Just 5 minutes a day will work wonders for your game. Print out a weekly worksheet page and see if you and partner agree on different bids. Come back next week for another index on a different topic.